In this guide you’ll discover the Top 5 VPN services for use when you run a Small Business. Running a Small Business can be hard. You often have to do the roles that a large company would have multiple staff to do. Everything from managing your business, the payroll, the paperwork, the accounts and that’s without even concentrating on actually doing what your business does. So when searching for a VPN you really don’t want to be adding more tasks to your already hectic day. But with somewhere near the number of 1000 VPN providers available, how do you choose the Best VPN for your Small Business? To save you the trouble of sifting through hundreds of options we’ve done the hard work for you and put together a list of the Top 5 VPN options for a Small Business allowing you to concentrate on what you do best, running your business. 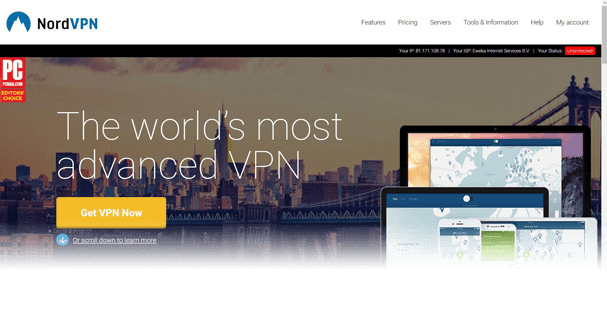 NordVPN is without a doubt our top choice if you’re running a small business. You’re allowed to use the service on up to 6 devices at the same time from just 1 account. This means if you have a couple of employees you’re only going to need the one package to secure each employee. If you work alone then it’ll allow you to secure multiple devices from your desktop to your laptop and your mobile and tablet with room for 2 more devices on top. The service is registered in Panama and uses some of the strongest encryption available. With no data-retention laws in Panama, there is no call for NordVPN to log any of your activity. If you’re looking to secure the privacy of your business or its activities then this is a bonus. VPN server connection points are available in 61 countries across the world allowing you to use it almost anywhere and there’s a massive 30-day money back guarantee if you’re not happy with the service. IPVanish is one of the better overall VPN providers for a variety of uses and if you run a Small Business it’s no exception. There are over 60 worldwide VPN server locations available to connect to so if you travel for business then you’ll be able to protect your privacy on the move. If you’re based in Britain then you’ll enjoy servers in no less than 5 locations across the country. Apps are available for all major devices including Android, iOS, Windows and Mac allowing you to protect your whole range of devices. Add in the fact you can protect 5 devices with 1 account and your small business empire is covered. IPVanish is registered in the US which has no data retention laws meaning there are no requirements for the service to log any of your activity. IPVanish claims not to log any of your activity when using the service which allows what you do while connected to remain private. If you use multiple devices in your business then ExpressVPN is the service for you. They offer VPN apps for more devices than nearly all other services out there. Apps are available for Windows, Mac, iOS, Android, Amazon, Linux and even some select routers. Although ExpressVPN has a lower limit of allowing you to connect on just 3 devices concurrently they do have easy access to installing their service on some routers which would essentially allow you to use the service on an unlimited number of devices. If your Small Business sees you jetting around the world then the VPN servers in over 90 countries will definitely be a bonus for you. The service offers industry standard high-level encryption and there’s a mammoth 30-day money back guarantee that gives you plenty of time to test the service for your business. Private Internet Access is one of the biggest VPN providers in the world and one of the benefits of that is they offer some of the cheapest prices. If you’re prepared to take a 2-year account you can pick up their service for a couple of dollars or pounds per month. They don’t quite have the server location options that the other recommended providers do but they cover all major countries and have more individual servers in those locations than most. You’re able to use one service on up to 5 devices at the same time so even though the cost of the service is low you can make good use of it saving your Small Business money. We had no problems with speed or connection and if you want to protect your privacy on a budget then Private Internet Access makes an ideal choice. If your Small Business works on the internet or you deal with internet related services then VPN.ac is definitely the service for you. Over the other providers they offer a higher level of encryption and privacy options. If you’re an internet business then these additional encryption features and security options will definitely benefit your business. VPN.ac is a little expensive if you pay monthly but in our tests we found them to be one of the fastest and most reliable services meaning signing up for a year isn’t a risk which makes the service one of the cheapest. You can also use one service on up to 6 devices giving you the option to protect all the workers in your Small Business or all the devices you use for business. The service is suitable to be used in the US, UK, most of Europe and a handful of locations in Asia and Australia. Outside of that, there is very little coverage so you’ll need to check that the countries they do offer cover your needs. Running a Small Business is hard, you don’t need me to tell you that. With so many things to do and limited time it can be a headache looking for the likes of a VPN. There are just so many choices that it can put you off searching for a VPN service but with so many privacy issues online these days it’s critical to use one when running a Small Business. One of the first aspects is to consider how many connections you can make with the service. Some services only allow you to connect on 1 device with 1 account while most of the recommended providers above let you connect on 5 or 6. This means you can protect all your business devices or a few employees from just one account. The second important feature to consider is the quality of the service. It’s often hard to know which providers offer a good service and provide fast speeds which is why we put this guide together. We’ve tested more than our fair share of providers and whittled it down to the Top 5 choices listed above. They all offer good speeds and reliable connections letting you stay protected while getting on with the important task of actually running your business. Using a VPN brings many benefits not only for your Small Business but also for you personally. However, there are a few distinct advantages of using a VPN that will greatly benefit your business. Below we’ve rounded up just three good reasons for also using a VPN for your Small Business matters. Running a Small Business means you’re more likely than others to be connecting to the internet while on the move, be it on a laptop, tablet or even your mobile phone. While it’s tempting to reply to emails while grabbing a coffee or whatever other liquid refreshment is your poison it’s important to remember that public Wi-Fi such as those found in cafes, restaurants and shopping centres, etc is not secure. Any emails you send can be read by others and if you’re discussing matters related to your business you wouldn’t want this falling into the wrong hands. Especially if it contains private details about your business or clients. 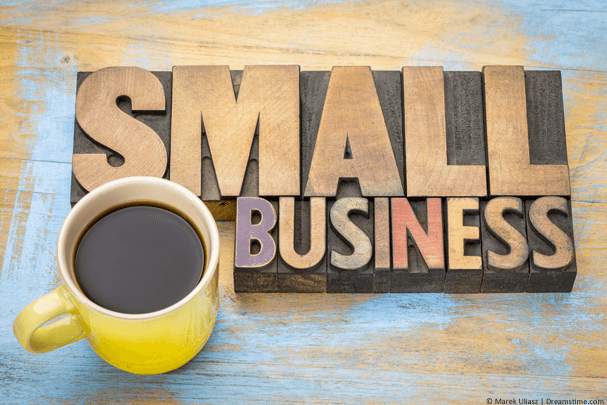 Many Small Businesses these days advertise on Google, Facebook and other social networks and websites. Using a VPN allows you to research what keywords are good and in what region. This is especially useful if you trade in more than one country because it allows you to tunnel into another country’s Google for instance and see how localised keywords work. Many VPN providers such as NordVPN and Private Internet Access have options to reduce the chances of getting malware on your device. The last thing you want is to end up with a cryptolocker malware on your business device locking you out from all of your files until you pay a ransom. While a VPN is definitely not a replacement for having dedicated anti-virus on your work devices it is an added layer of security. The security of your online privacy can no longer be guaranteed and alongside companies tracking your every move, there are nefarious hackers waiting to swoop in on your personal details. Having your business privacy breached can have a huge impact on a small business and not having the resources to clean up after such a breach could seriously affect the future of your business. Using a VPN is an essential tool as part of a wider security suite to protect your business interests as much as possible. For this we recommend NordVPN but if you’ve got time on your hands take a look at all 5 recommendations as they’re all suitable for your Small Business and will add peace of mind to your already hectic diary.